Fire ants are aggressive stinging ants that tend to live in colonies and attack when they feel threatened. Their bites are known to be painful and in some cases may cause even serious allergic reactions. Have your dog seen immediately if it manifests any signs suggesting anaphylactic shock. Upon being bit, most dogs will manifest some sort of pain or discomfort. Sensitive dogs may yelp, while stoic dogs may get startled as the ants start to bite. The fire ant bite will generally cause a local irritation that may become itchy. Most dogs will attempt to lick and even chew the area for some time. 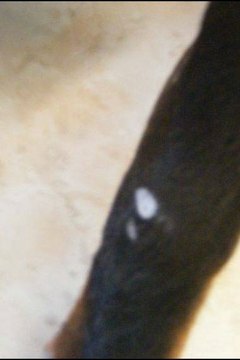 The fire ant bites will leave some grayish sores on the dog. These sores may take several weeks or months to disappear. Fire ants may cause serious allergic reactions and anaphylactic shock. Watch for excessive swelling, hives, trouble breathing, fast breathing, weakness, pale gums, vomiting, diarrhea and collapse. An exterminator should be contacted if there are colonies of fire ants. Special ant baits and products can be found in stores but dogs should be kept away from such products. Upon being bitten by fire ants it is important to keep the dog from licking and chewing the bite areas as this will only further aggravate the lesions. Ice packs alternated with a paste of baking soda and water may help soothe the area and provide comfort to the dog. How Do Fire Ants Affect Humans?